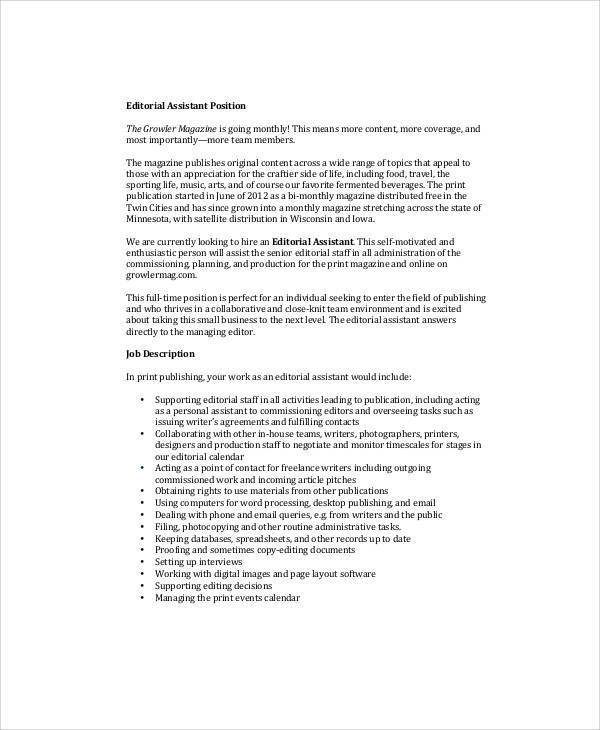 A magazine editor is someone who does not only correct grammar and spelling but also has different responsibilities, depending on the size of the staff and how well the department is organized. 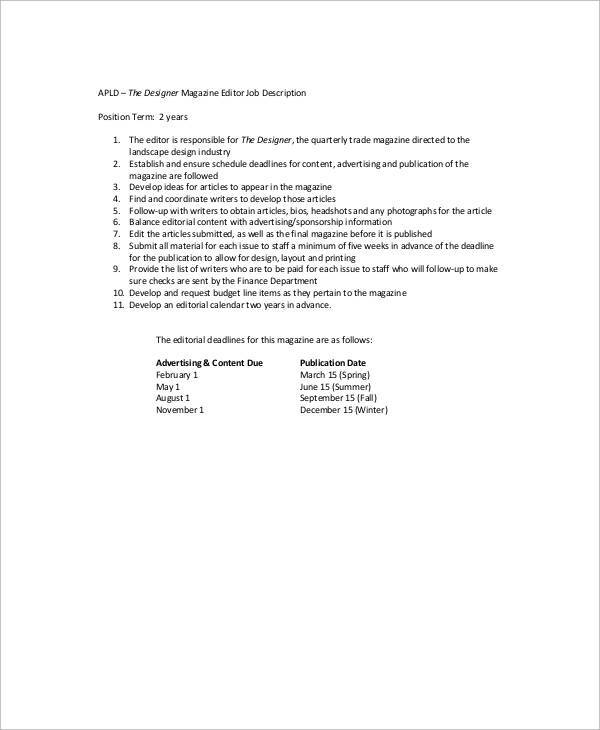 If you want to dive into the magazine publishing business, then you first need to understand the duties of a magazine editor. 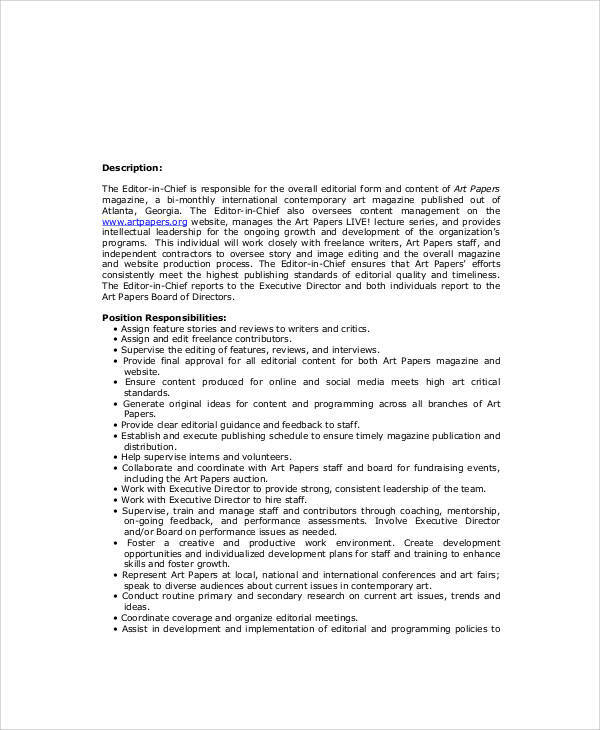 In choosing a magazine editor, you need to make sure that he/she possesses the essential skills, educational background, creative capabilities, and other qualifications that the specific position entails. In order to do so, you need to refer to a job description. 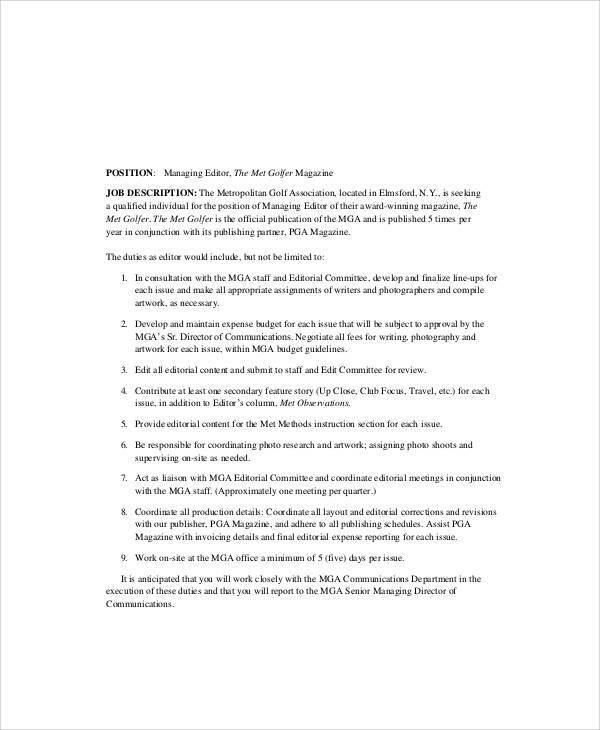 For your convenience, you may download form our collection of magazine editor Job Description Samples. Simply scroll down below and download the one that suits your needs! A magazine is a periodical publication that is issued either weekly, monthly, quarterly, or yearly. This type of publication covers a particular subject or area of interest. The person who is tasked to write and edit the contents of a magazine is called a magazine editor. coordinate with co-editors and managing editors in order to brainstorm what content to write and how best to approach a topic/subject matter. keep himself/herself up to date with current trends and developments in the magazine’s subject area in order to churn out more relevant and attractive content. 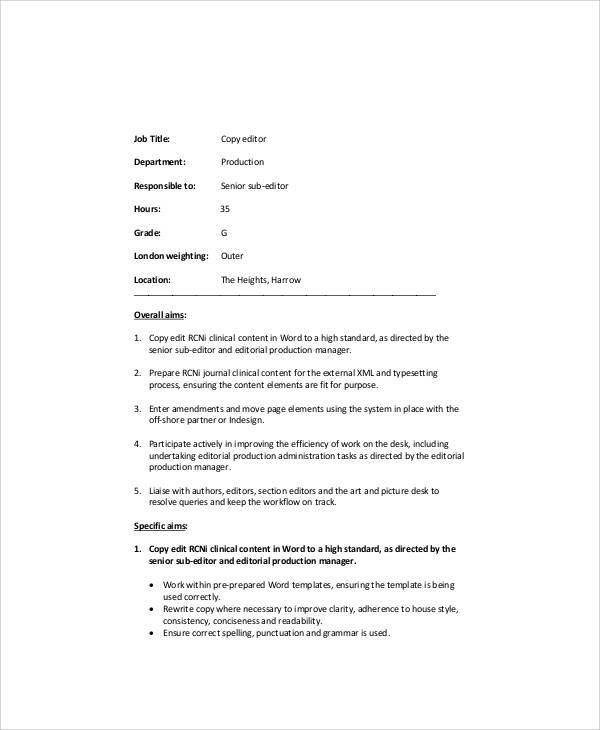 Speaking of content editing, you may also have a need for technical writers. 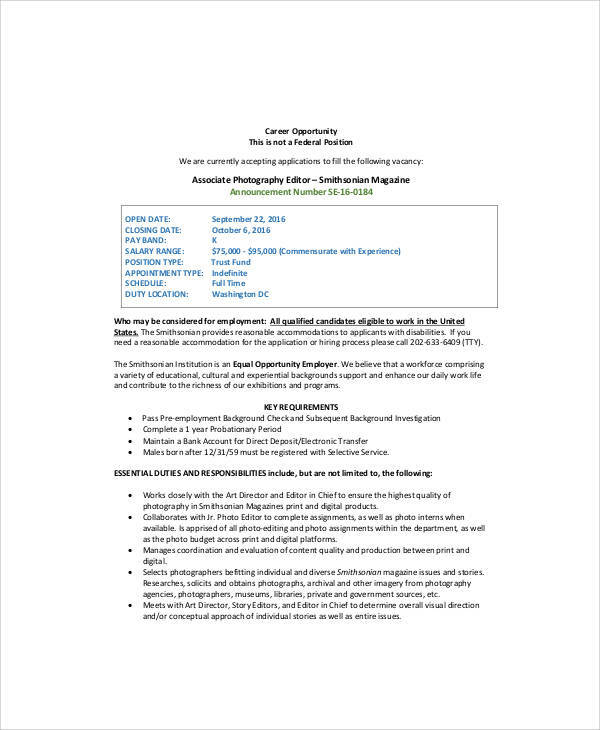 If so, download our collection of Technical Writer Job Description Samples. It allows recruiters or HR managers to make informed hiring decisions by developing recruiting strategies that clearly outline to potential applicants their role and responsibilities. When conducting interviews, job descriptions can serve as the basis for the development of interview questions. It can aid in the development of standardized compensation program for each position. When the job expectations and requirements in the job description are not met, the job description can be used in determining which areas are in needs of training and development. It can serve as a tool for employee performance management. 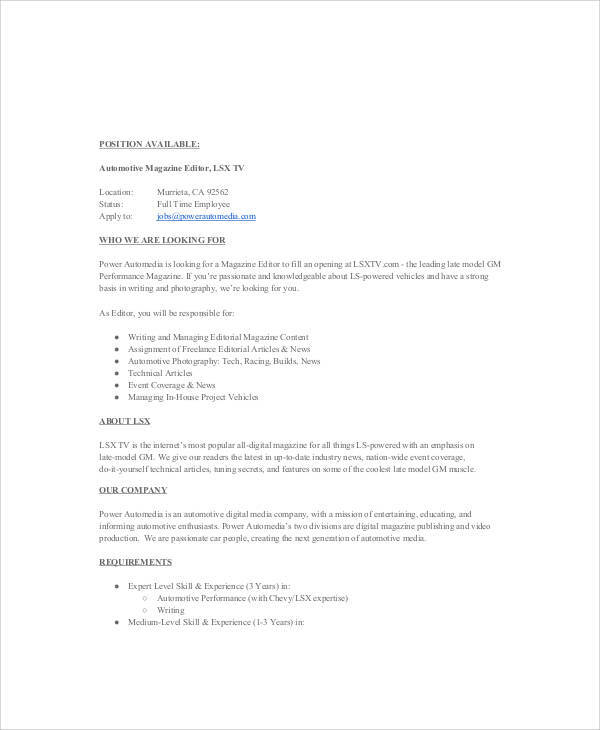 Aside from job descriptions, we also have Copy Editor Resumes that are available for download.